You should be well aware of the fact that your body can fall short of several vitamins and minerals, long before you begin to exhibit symptoms. You must hold responsible your de-arranged dietary patterns for this kind of a mishappening. Junk foods have replaced fruits and veggies by much extent. A detailed analysis on this subject revealed that the pocket-friendly costs of such eatables have made them so much popular. Moreover, it is an irony that fast foods are much more prevalent than the natural foods, and this is a great concern in both the developing as well as the developed regions of the world. Vitamin D deficiency is quite common, despite of the fact that it is most commonly prevalent in sunlight than it is in foods. 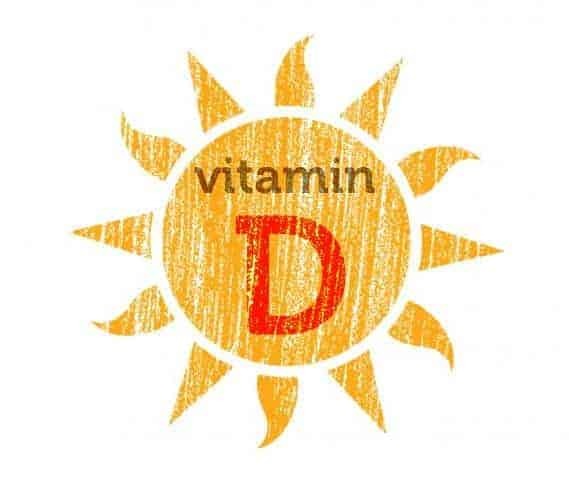 Vitamin D deficiency can be due to malnutrition, or may occur owing to some underlying pathology such as renal diseases, hormonal imbalances, resistant vit-D receptors, etc. Hence, individuals who fail to respond to supplements are investigated for other possibilities. Individuals residing in areas that are devoid of sunlight for most of the time, such as those living in crowded apartments are most likely to fall short of adequate vitamin D levels in blood. You do not require long exposure periods to sunlight, but merely 10-15 minutes of exposure to the morning sun, and that too merely limited to your hands, face and feet. Vitamin D is the prime requirement of the bones, since this nutrient heavily regulates the levels of calcium and phosphorus in blood: the two vital minerals of the bone material. These two very minerals are also integral for an intact muscular function. Vitamin D deficiency in blood can make your bones go weak and soft. This is why babies who develop this condition face a disastrous consequence, the term for which ‘rickets’ is used for. The rickets babies have ‘bowed’ leg bones, due to the depleted calcium and phosphorus levels. Moreover, the long ends of their bones, like those of the wrists and ribs go frayed (which makes an important diagnostic point in their X-ray). People with decreased vitamin D levels in blood face aches in muscles such as those of the thighs and the biceps. Since calcium levels go unsupervised in this condition, hence, the muscular contraction becomes compromised. Such people often face difficulty in getting up from sitting position, or in carrying heavy objects. A frequently sweaty head especially in babies is a pretty strong indicator of vitamin D deficiency. Strains of sweat dribbling from the forehead and that too with much frequency must be considered and not ignored. An all-time sweaty head is not a specific sign of the disease, and can occur in other conditions too such as that of hyperthyroidism. If a baby presents with such a symptom, he must be evaluated for other signs of vit-D deficiency as well. Moreover, their mother must be inquired whether they wrap their child in thick clothing for too long. This rather weird symptom of depleting levels of vitamin D in blood has been pointed out by Dr. Micheal Holick numerous times. If you go excessively sweaty all the time, it might be because your body is not getting enough of the nutrient.